It is always wise to hire a spe t, especially when it comes to technology. Data center construction companies often times have a computer room. Hiring a person with a computer room license can be in the best interest of your company. This is because a spe t knows the intricate details needed to run the data center effectively. Someone with a computer room license will understand what is necessary to make the computer room run effectively. One component is knowing the importance of keeping the machines cool and air-conditioned. The operator understands power supply and air equipment. Data center construction companies can provide the knowledge needed and give equipment recommendations as they come up. A licensed contractor possesses the expertise and knowledge to run all facets of planning, engineering and design. The entire job can be managed, built and updated through a licensed person. Some of the details are complex, especially when it comes to installation and upgrading. This is why using a data center construction company is a good long-term option for the business. You can rely on this professional to get the job done. 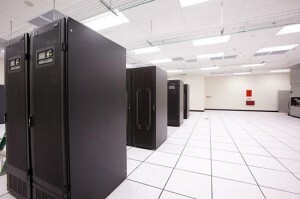 Data center construction companies are committed to providing superior service. It does not always have to be at a high price. Many spe ts offer their services at an affordable price and affordability does not have to sacrifice effectiveness. As a licensed person, he or she will try to reduce operating costs by meeting expectations in a timely manner. You will be assured that you are getting outstanding service for your entire job. Spe ts are licensed to do a number of things. Some of these include planning, designing, building, relocating, expanding and installing. Instead of hiring a specific person for each job, this licensed professional is trained to meet the needs of all of these components that will come up at some point in your business. With one person, you can save a lot of cost in the long run. A professional with a license has been trained to ensure the projects they are in charge of meet code and stay on schedule. In order to manage projects effectively, they need to have a professional in charge that stays organized and keeps everything on task. The data center build person needs to have the leadership qualities to move from the decision process to the design and delivery phase. Having seamless transitions can be a determining factor to success. Without the specialization and knowledge of processes, costs to the company could be increased and there could be more downtime while issues are being fixed. The benefits of having a licensed professional are numerous. Data centers are an important aspect of a company and require routine maintenance. Having someone you know and trust to perform this maintenance can make a big difference in the future of the company. Do not delay in considering a professional with a computer room license for the task at hand. It makes sense to hire someone with the most knowledge and expertise of the systems and how to keep them working as best they can. Without this knowledge, the data center is sure to have ongoing problems that require a lot of money to fix. This entry was posted in computer room construction, Data Center Construction and tagged computer room construction, data center construction company, data center contruction. Bookmark the permalink.